As a team, Momentum PT would like to again thank all of those who attended the “Fueling Your Body for Performance” seminar last night. The support and enthusiasm for the event was outstanding, and we would like to recognize all of you for your donations to Project Smile. Also, a big thank you to Kelly’s Farm in Upton, MA for the awesome platter (check out the picture below) and the Milford Area Chamber of Commerce for providing the all important projector. – Carbohydrates are the main source of fuel, but must be controlled to establish consistent energy and to prevent energy spikes and drop offs as well as the potential for certain metabolic diseases (diabetes, etc). – Eat “slower” carbs throughout the day in moderation for sustained energy. – Try to always eat carbs with protein and/or fat. Make it a complete meal/snack. From the great feedback, and the tremendously popular question of when the next seminar would be, the Momentum PT team is already working to put together the next event, which is planned to come in the next few weeks. Keep an eye out for details on Facebook!! Also keep an eye out for the Recipes Book that correlates with the handout from last night, which will be posted on Facebook. 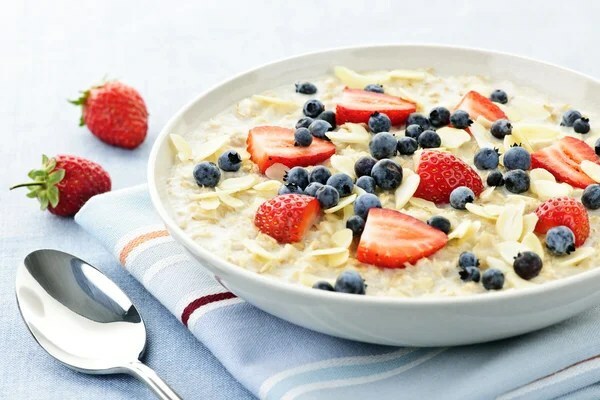 And in case you missed the last blog, here is the link for how to construct yourSuper Oatmeal…a great option for a performance kick. We would like to hear your thoughts about the seminar. Leave a comment below and lets us know on Facebook! Need help with your nutrition? Want to support your local community? This coming Tuesday, September 13th at 7pm you can do both. You will learn how to better feed your body to reach all of your goals whether it be enhanced energy, healthier blood markers and bodily systems (cholesterol, muscular, skeletal, etc), fat loss, muscle and strength gain, injury prevention and more. AND you will be supporting the community program Project Smile (www.projectsmile.org), a great program dedicated to helping children who have survived traumatic situations. The seminar will be $15, but if you bring a coloring book or stuffed animal to donate to Project Smile the seminar will only be $10. For $10 and a donation for our communities children in need, you will gain the power of knowledge about healthier, performance enhancing nutrition and receive a done for you guide on healthier, results oriented options…and there is always more, but you will have to show up at Momentum PT Tuesday the 13th at 7pm to find out.